This annual guide helps students and recent grads transition from school to the real world. Order free copies to hand out to your students and access the digital version online for free. 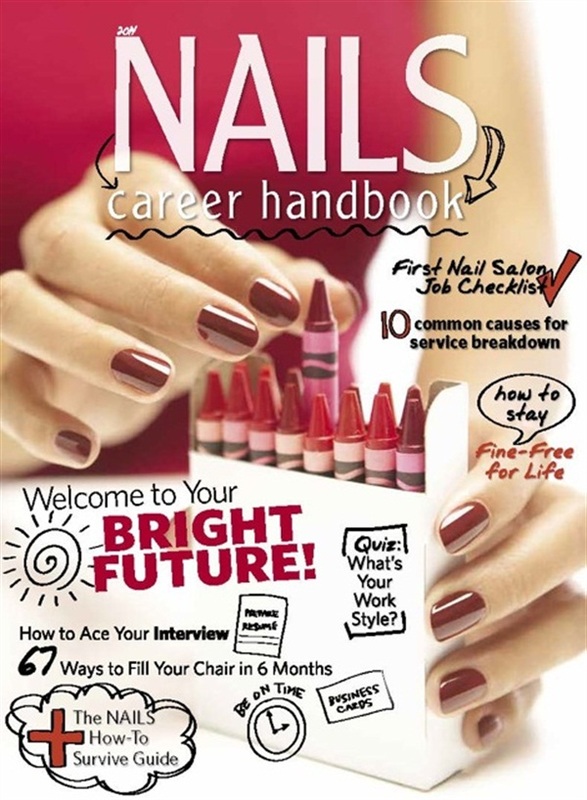 Give your students a head start with NAILS 2014 Career Handbook. This helpful annual guide is chock full of information for the newbie nail tech, covering topics such as how to ace a job interview, steer clear of expensive state board fines, set up an effective sanitation program, and many more useful tips, step-by-step tutorials, and a fun interactive quiz. The NAILS Career Handbook is published once a year and is absolutely free (shipping is included for U.S.-based schools) while supplies last. To receive your copies, fill out the order form here. The 2014 (tablet-friendly) digital edition is also available for free online. Share this link with students today to help them get a head start on their job search. Also, check out our Partners in Education program, which provides free subscriptions to NAILS Magazine for instructors and six-month subscriptions to students.